Pain caused by peripheral neuropathy can destroy your quality of life, but cutting-edge treatments at St. Luke Integrative Medical Center in Huntsville, Alabama, offer new hope. 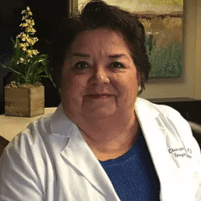 Dr. Yvonne Ortega, a pioneer in the field of regenerative medicine, provides treatments that can heal damaged nerves and restore healthy nerve function. If you’re suffering from painful neuropathy, don’t settle for treatments that only mask your symptoms. Call Dr. Ortega today, or book an appointment online. What is a tingling sensation? Most people experience a mild tingling sensation now and then. Minor scrapes, bumps, or insect bites can cause a prickling or tingling feeling on the surface of your skin. But if you have peripheral neuropathy, you may experience a tingling sensation on a regular basis. People with peripheral neuropathy often describe their tingling sensation as “pins and needles.” Others describe the feeling as sharp, shooting, or stabbing pain. Your tingling sensation may be a minor annoyance, or it may cause extreme discomfort. Left untreated, peripheral neuropathy is a progressive disease. Your symptoms might be mild at first, but they often become more severe over time. Many people with peripheral neuropathy find that their tingling sensation eventually spreads from one area of the body to another. What causes a tingling sensation? A tingling sensation is a symptom of a medical condition, rather than a medical condition itself. This sensation can have many causes. Peripheral neuropathy is another common cause of tingling. This condition is the result of nerve damage, which triggers a numb, burning, or tingling sensation. If you have peripheral neuropathy, it may be possible to halt or even reverse the progression of your disease using cutting-edge regenerative treatments. What treatments can help relieve a tingling sensation? For many years, peripheral neuropathy was considered incurable. Patients were traditionally prescribed heavy narcotics and referred to a physical therapist for help learning to manage their symptoms. These patients were told that recovering from healthy nerve function was impossible. But state-of-the-art stem cell treatments offer new methods for repairing nerve damage caused by peripheral neuropathy. Dr. Ortega, a leader in the field of regenerative medicine, has pioneered new treatments, which use stem cells to regrow damaged nerves and help your body function as it once did. Stem cell treatments are a noninvasive, nonsurgical option that require no downtime. Unlike older peripheral neuropathy treatments, stem cell treatments are both painless and narcotic-free. Patients across the country come to St. Luke for treatment with Dr. Ortega. If you’re ready to learn more about how modern stem cell treatments can repair your damaged nerves, call Dr. Ortega today or book an appointment online.